PODS came to KBS looking for a recommendation to improve their website and their digital strategy. We set up a multidisciplinary team to research their digital properties and make a recommendation. We looked at the PODS organization as a whole, conducting stakeholder and user interviews at PODS' headquarters in Tampa. We talked to people from IT, Marketing, Customer Service, and some PODS drivers. 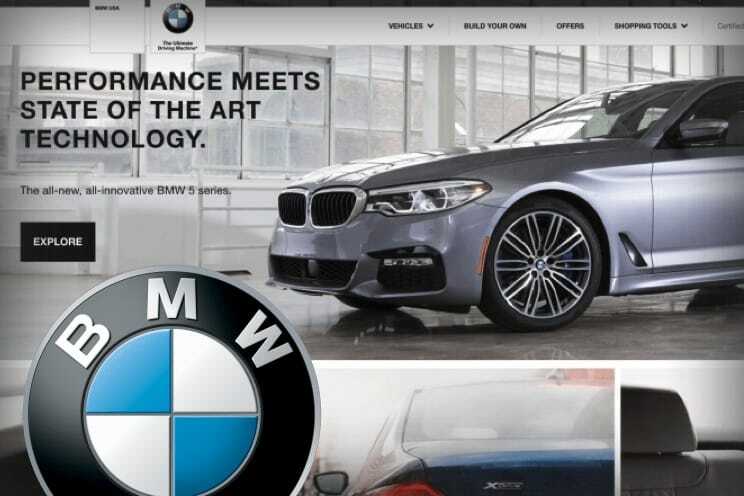 We did rounds of user testing on their sites and looked at their competitors' sites. 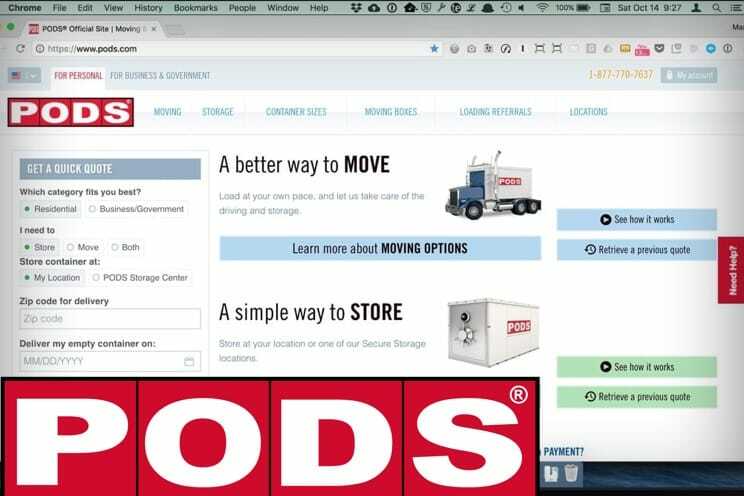 I wanted to test the user experience and the usability of the PODS site. 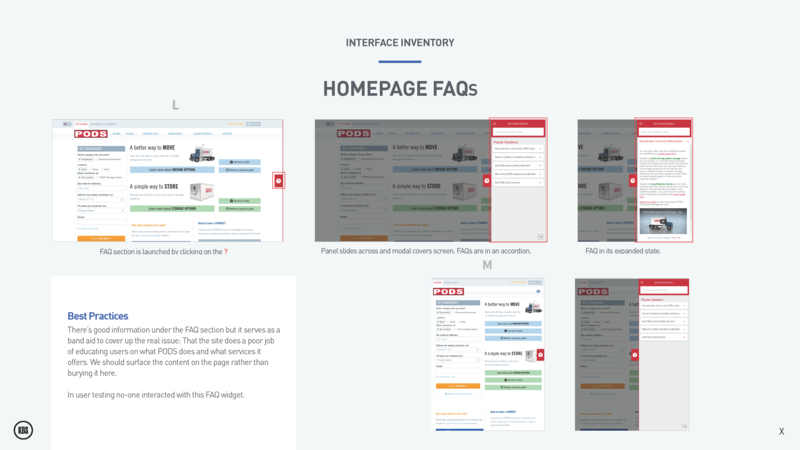 I needed to observe users using it on laptops and smartphones as it was a responsive design. 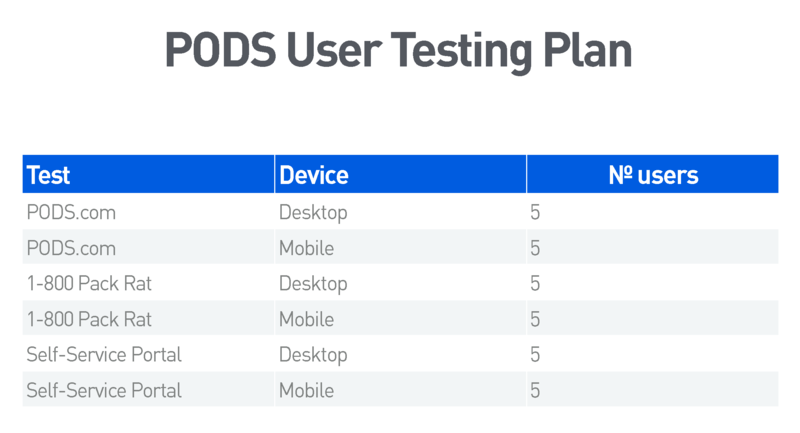 We created three tests and tested each on desktop and smartphones. I also wanted to test a close competitor’s website to see what they were doing. 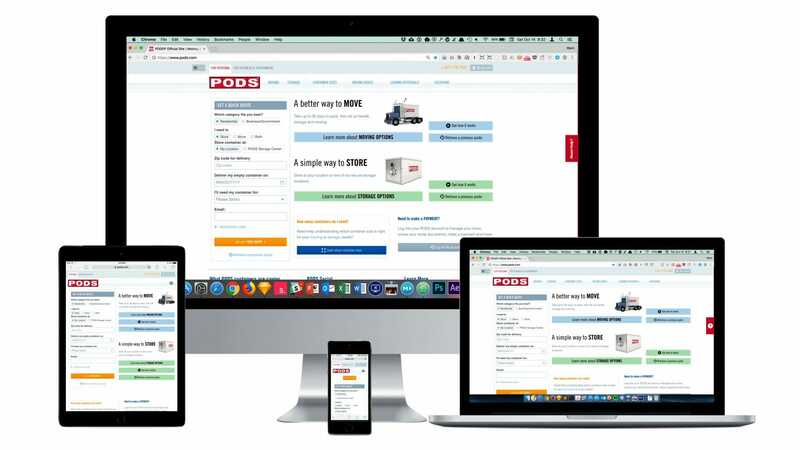 Finally, I looked at PODS Self Service Portal, where customers can log in to update when and where their containers are delivered and to make payments. I wrote test scripts and scenarios and found users through usertesting.com. Findings report per tasks of each test. We evaluated direct competitors to understand what cross-shopping customers were seeing. 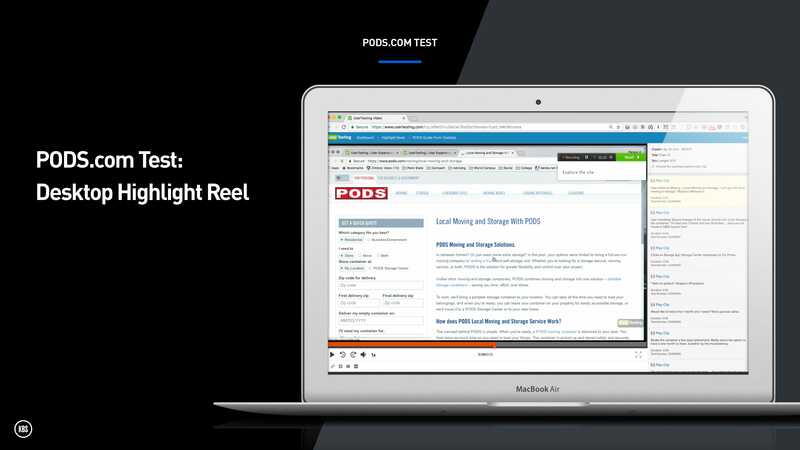 We also identified patterns from best-in-class websites which PODS could adapt to go beyond their competitors. 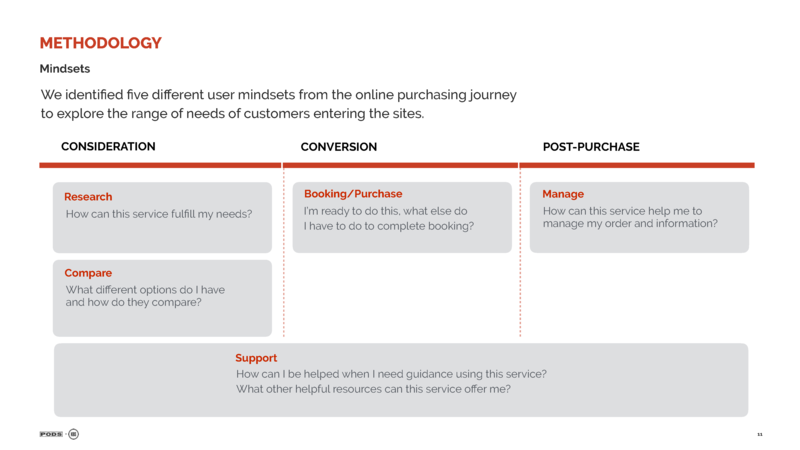 We looked at three different user mindsets: consideration, conversion, and post-purchase. 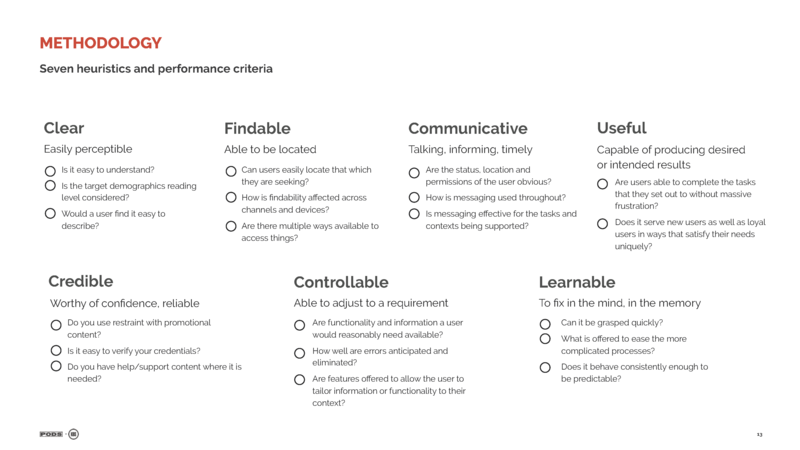 We conducted an expert UX walkthrough for each site, assessing the desktop and mobile experiences according to user mindsets. We based our assessment on a set of heuristics and performance criteria identified for each mindset. 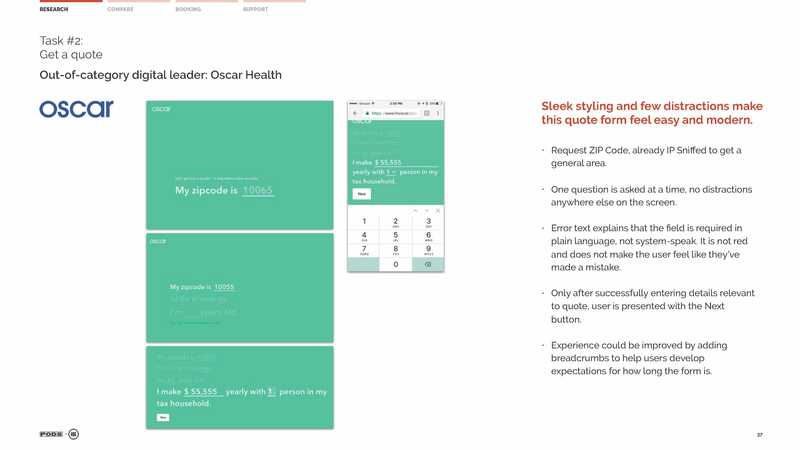 Oscar Health: out of category inspiration. 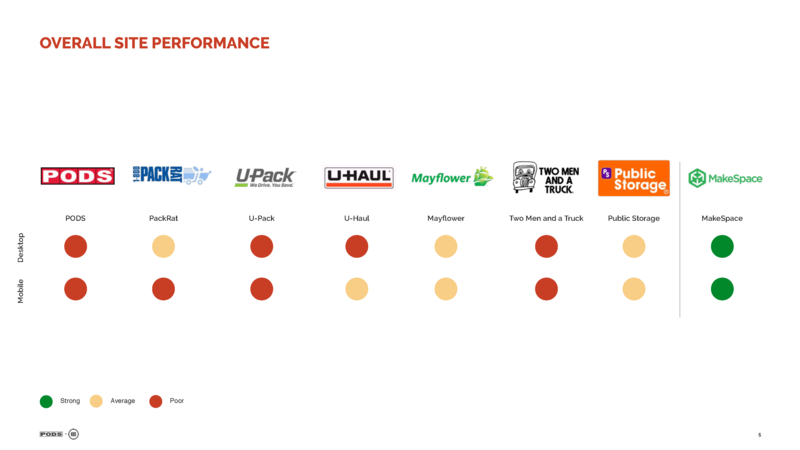 Overall scorecard of direct competitors. Heuristics we used to evaluate competitors. 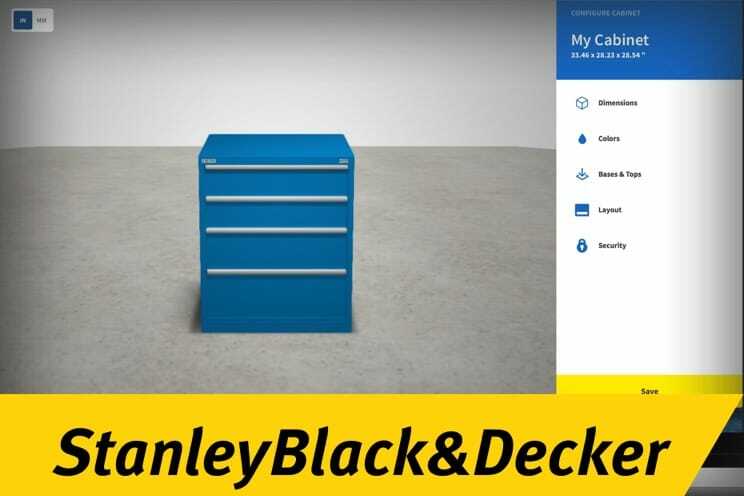 Most moving and storage brands offer mediocre websites that fail to deliver seamless, intuitive, and relevant experiences online. 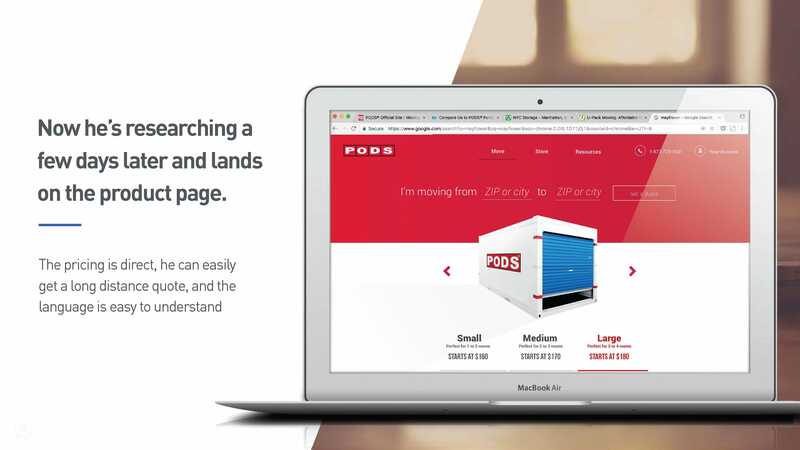 PODS has an opportunity to leapfrog its competitors by offering them a superior digital experience. 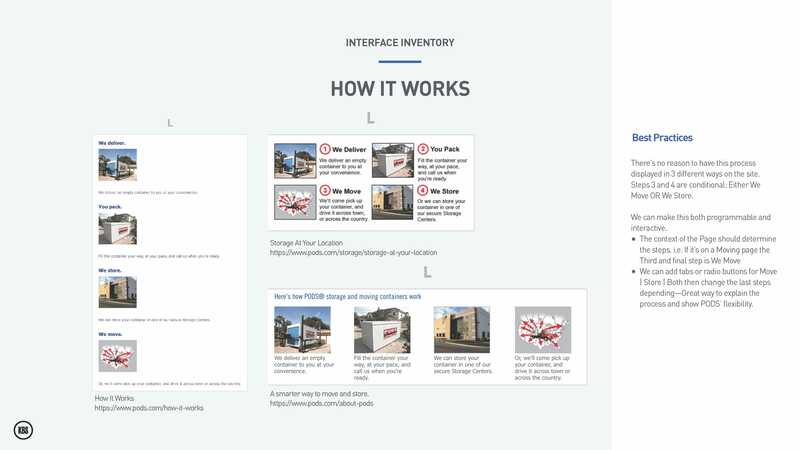 The interface inventory was a preliminary audit of the PODS.com user interface. It lays the groundwork for our future design system and module library. 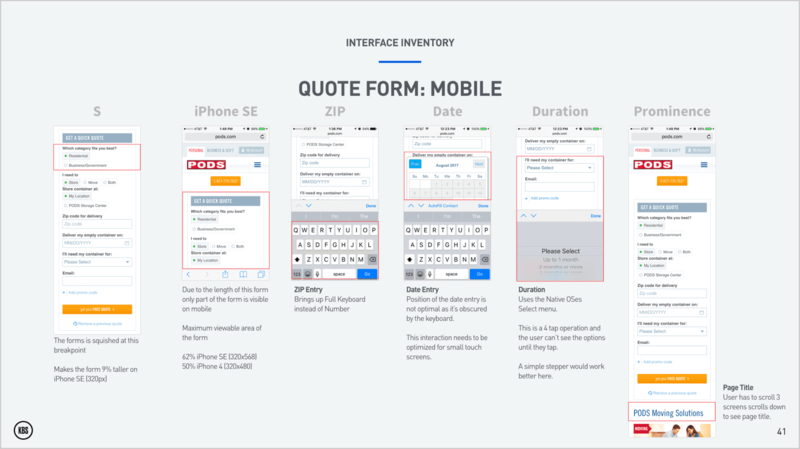 I looked at the quote form widget on mobile as this is a key interaction with users. 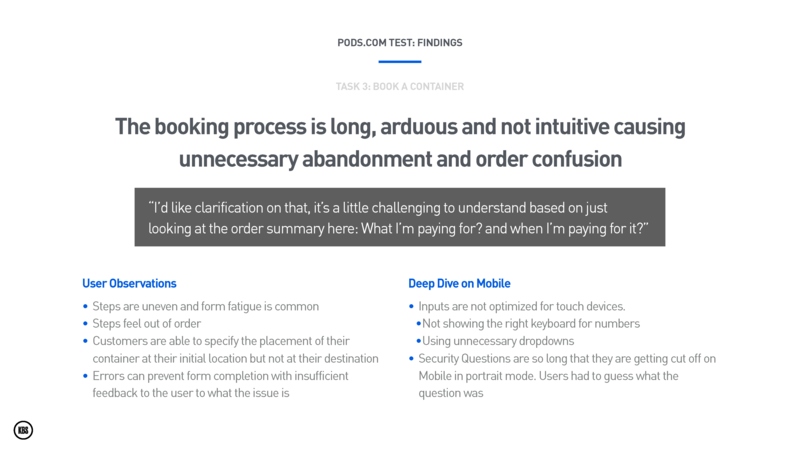 I looked at the site on mobile, tablet, and desktop which roughly correspond to their small, medium, and large breakpoints. I documented their existing design patterns and how they reflowed at the different breakpoints. I added best practices for each section based on observations from testing and expert analysis. 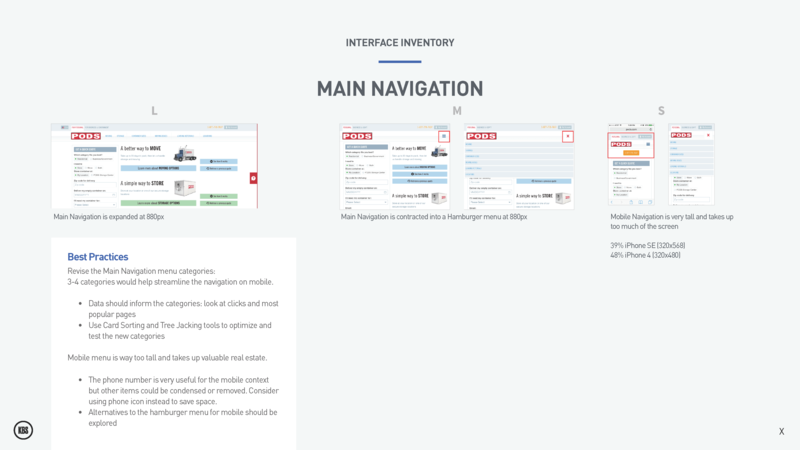 Main navigation: at the three breakpoints. The How It Works has three different designs. 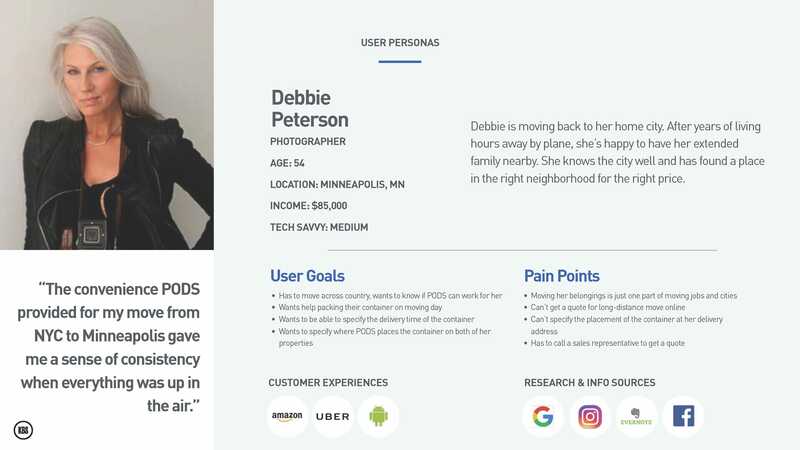 The user personas are a composite drawn from user interviews, observations during user testing, and customer segmentation and demographics that were provided by PODS' marketing department. 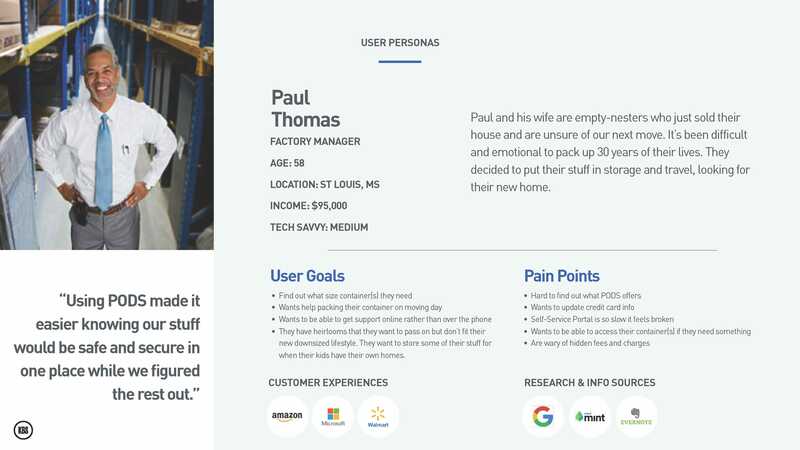 These personas reflected the four major user journeys that PODS customers take. If they’re moving locally or long distance, or if they need short term or long term storage, or even a combination of both. 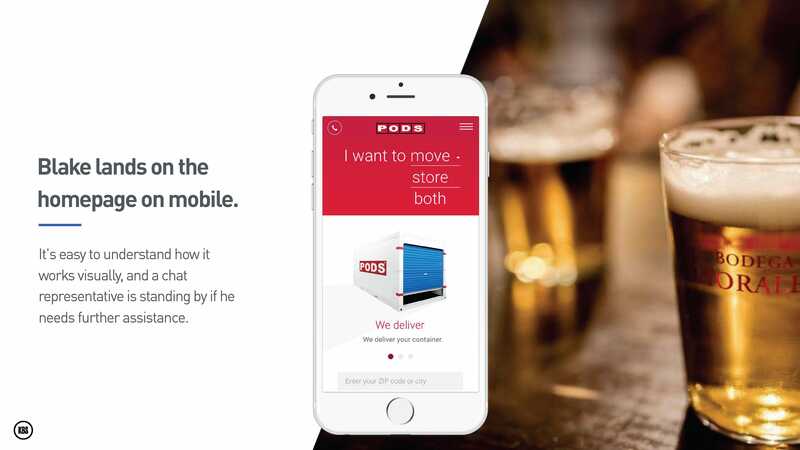 It’s this flexibility and control that sets PODS apart from its competitors. Each persona represents a different set of traits and behavior patterns, tied together by a common perspective. Janine is moving across town but needs to store her stuff until her renovation is over. These personas will inform our prioritization of what we will build on the new site. We’ll use them as a lens to help prioritize and sequence features. A long-distance mover with storage needs. 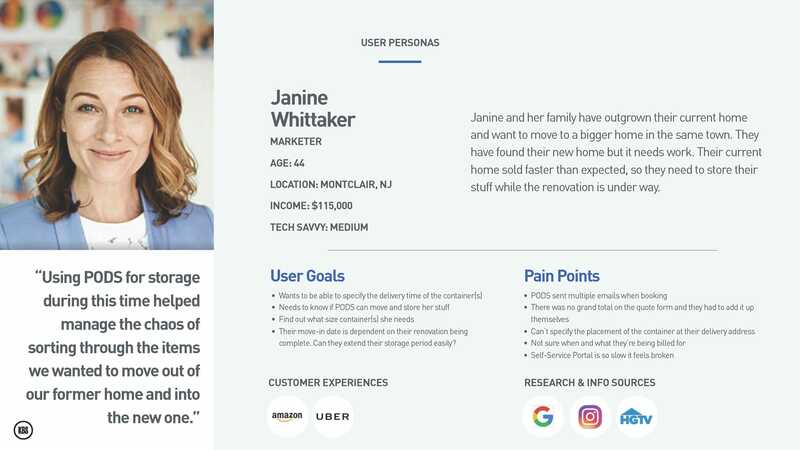 Personas help us build empathy for our users and their goals. They help us focus on what’s important to help them achieve their goals. They encourage the team and the stakeholders to form a consensus on what’s important. They inform us and enable us to make and defend our design decisions. We can utilize them to measure if we have created the right solutions for our users. At the end of the discovery phase, we reported our findings. We were able to show them, not only did we understood their problems, we had solutions. 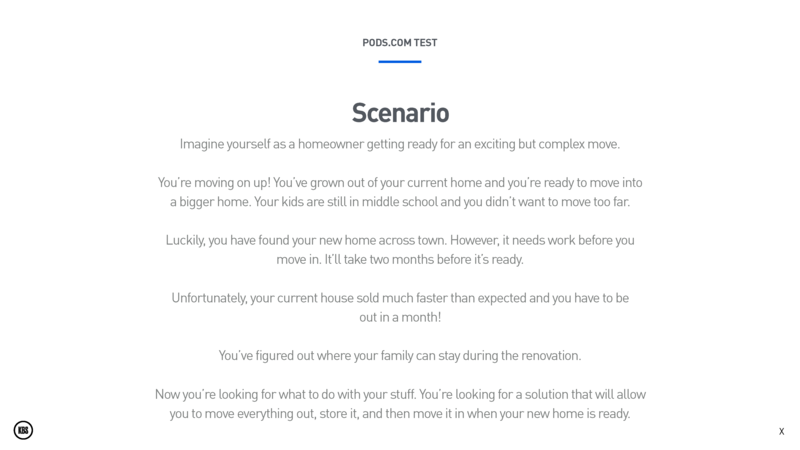 We worked on a PODS Vision presentation outlining where we saw PODS could be in two years time. 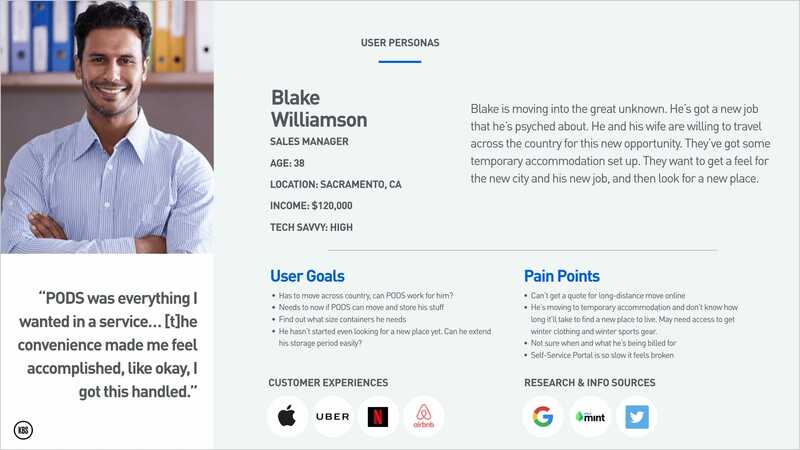 We used one of our personas—Blake—to show how, in the future, we would help him achieve his goals. He’s moving across the country for work. 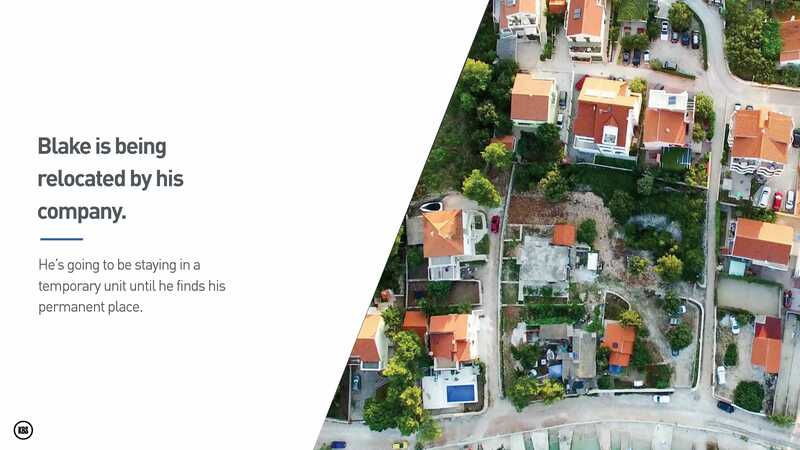 He’s living in temporary accommodation and doesn’t know where he wants to buy yet. He’s planning on storing his stuff in the interim. He’s exploring what products PODS offer. He will be able to use the site on his smartphone and his laptop seamlessly. He starts on his smartphone and quickly assesses that PODS could work for his complicated move. A few days later, he’s back on the PODS site researching what size container he’ll need. He uses the new Space Calculator to help figure this out. 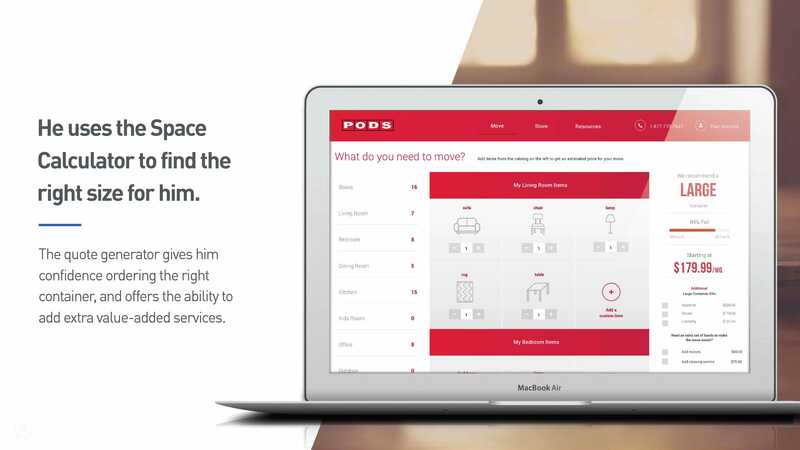 Once he’s added all his stuff, PODS can also send him with the right amount of moving supplies. He can even request some help packing up his stuff. Using the new Space Calculator, he enters in his stuff and finds out what size he needs.